The IRS Is Calling About Late Expat Taxes... Now What? | TaxConnections is a where to find leading tax experts and tax resources worldwide. 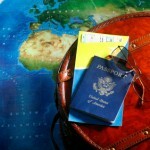 The IRS Is Calling About Late Expat Taxes… Now What? If you have fallen behind on your US expat taxes, you are not alone! There are approximately six million Americans living abroad and only about half actually filed their US taxes, which is a US tax law requirement. So if the IRS has contacted you about delinquent tax returns, what should you do? First off, don’t panic! Here are a few tips on what to do next. The worst thing you can do is ignore the notice. If you don’t think that you will be able to gather the proper documentation and file the return(s) by the deadline they provide, call them right away. Explain that you are aware of the delinquency and you are doing your best to resolve it. Often they will give you a few extra weeks if you are honestly trying to resolve the situation. If you do nothing at all, the IRS can file a return on your behalf and assess a liability of what they think you owe. Expats in particular want to avoid this, as the IRS won’t include any deductions or credits you may be eligible for—this could be very costly! Tip #2 – Form A Plan! The IRS may have only requested a particular year or two, but it’s important to determine exactly how many years you are behind and get caught up on all delinquent returns (up to six years is recommended). Most expats who are behind on their returns were unaware of their need to file and will be delinquent for more than one year. While they may only currently be aware of a certain year you failed to file, it is very likely they will eventually uncover the others and then you’ll need to do the entire process all over again. If you aren’t sure how many years you are behind, you can either call the IRS or go online and request a transcript (which is certainly most efficient for expats). If you determine that you are only behind 1-3 years, you may want to consider applying for the IRS amnesty program, the Streamlined Program. This program is ideal for Americans abroad who are behind on their US expat taxes. If you are accepted, you simply need to file the last three years of tax returns and six FBARs (Foreign Bank Account Report) if you were required to do so. FBARs will be required for any year you had a foreign bank account with a balance of $10,000 or more at any point during that tax year. Tip #3 – Gather Your Documents! The first step, and arguably the most time-consuming, is digging up the documents necessary to file back taxes. Most importantly, you will need to gather any 1099s, W2s or other US income reporting statements. If you have misplaced these documents, copies can be requested from the IRS. It may take up to 45 days for them to provide you the information you need, so plan accordingly if you are working under a specific deadline. A tax professional will have access to the IRS e-services program and can likely obtain your documents within a week, so you may want to consider that option. Of course, if you are a foreign resident and never received these documents, your task will certainly be a bit more challenging. We recommend you consult an expat tax professional who can help you identify exactly what you need to collect. Tip #4 – Prepare And File! If you are planning to file on your own, obtain all necessary forms from the IRS website. It is advisable to prepare the earliest year you were delinquent first, as you may be able to take advantage of carryovers from the Foreign Tax Credit or any capital losses. It is recommended that you file all necessary returns at once, but if that isn’t possible for some reason, filing something is better than filing nothing at all! Sometimes there are taxes owed on back tax returns and if you can’t pay everything you owe, there are options. You can apply for an Installment Agreement or even make an Offer in Compromise. With either option, interest and penalties continue to accrue so long as you have a balance so paying as much as possible will help reduce the total debt over time. Don’t forget that you can ask for an abatement of penalties and interest. You can write a letter to the IRS explaining why you didn’t file the return(s) and outline your honest attempt to rectify the situation. There is no guarantee they will grant your request, but it never hurts to ask! The process of becoming compliant with your US expat taxes can be stressful, but getting caught up as soon as possible is clearly your best option. The longer you wait, the more expensive it can be. This is particularly important if you need to file past FBARs, as the IRS is cracking down on tax evaders and stiff penalties can be assessed for every year you are delinquent. Expert US Expat Tax Preparation. Simplified. Resolved. Designed to save you time and money. David McKeegan is the co-founder and President of Greenback Expat Tax Services. Greenback specializes in the preparation of US expat taxes for Americans living abroad. Greenback offers straightforward pricing, a simple, hassle-free process, and CPAs and IRS Enrolled Agents who have extensive experience in the field of expat tax preparation. If you would like Greenback to prepare your US expat tax return, connect with me on TaxConnections.